Call And Schedule A Tour! "So happy, I'm a new resident and I've requested maintenance several times. Every time the response is fast and the job is great. I'm very happy. Keep up the good work Golfside. :) "
"Yesterday evening I came home to find water on the kitchen floor. I cleaned it up and waited. Sure enough, the dishwasher was leaking. Called emergency maintenance and the gentleman came right out. He located and fixed the problem, then cleaned up the floor! He was polite and apologized for the inconvenience. Thanks so much for such prompt service!" "I just want to take the time out to say thank you so much to the maintenance guy Bill. He did a wonderful job. He fixed everything in my apartment and made sure everything was done properly and in a timely manner. This is the best encounter that I've had with the maintenance team and it's greatly appreciated! " Great Job Staff And Crew . I want to say thank you to the crew for the repairs you did at my place a few days ago. And Thank you to the staff your doing a great job and the help you gave me today I thank you so much and it was fast to have a great day and stay blessed. " "I called this morning about a problem with the front door to our building and someone was here within 5 minutes working on it. Great job, maintenance team! " "I went to go lock my door and the tumbler stopped working. I was on my way to Detroit for class and I was panicking. I called the office and I was really grouchy and probably kind of mean (I'm sorry!) and the man in the office (also forgot your name. Again, sorry) was patient and seemed really concerned that I was so flustered. A maintenance guy showed up within minutes. By this point my key had broken inside the lock and I was stomping around and muttering expletives. He sent over another man who cam in and changed my lock and was really really sweet. Thank you for your quick service! It really reduced my stress to know that when crazy things happen the front office and maintenance will act quickly to help. " Golfside Lake Apartments, located in Ypsilanti, Michigan, is a pleasant blend of comfort and charm. We offer a variety of spacious studio, one- and two-bedroom apartments, and two-bedroom townhouses. 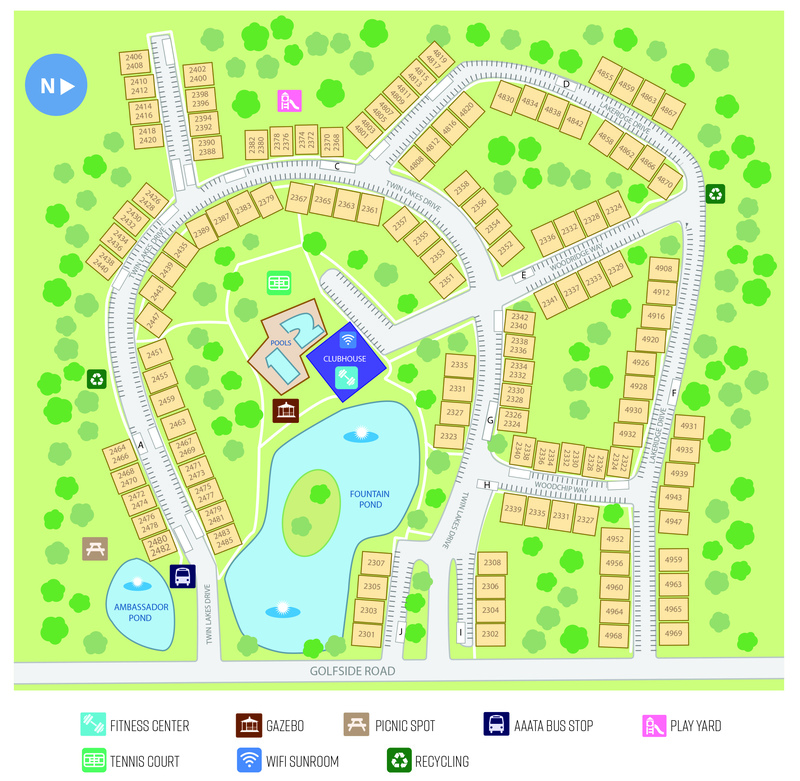 Just on the edge of where Ypsilanti and Ann Arbor meet, you can enjoy city convenience with the luxury of sparkling lake views and lush wooded settings just outside your door! We're in walking distance to Washtenaw Community College and St. Joseph Mercy Hospital and less than a 20-minute drive to Eastern Michigan University and The University of Michigan—Ann Arbor. For rest and recreation, sunbathe and socialize beside one of two glimmering pools, enjoy a pond side picnic or stroll along our nature trails. Enjoy our 24-hour fitness center and double tennis courts available to help you stay fit. Golfside Lake apartments offer the ultimate combination of quality apartment living and professional management with 24-hour emergency maintenance service all in an unbeatable location.